Super Brand Mall offers series of privileges for the members, from special discounts, free parking, gift packing and exclusive events. *Points does not apply to supermarkets, B2 floors, parking lots, tobacco and alcohol. Points can be accumulated through scan of QR code on the receipts, or can be conducted at the service counter on 1st Floor. Gifts or services can be redeemed on a regular basis with accumulated points. During special events/promotion the rules can be changed without further notice, please refer to the service counter. You can enjoy discounts on regular prices at special merchants in Super brand mall. Up to 3 hours free parking per car per day. For updates or more discount offer, please refer to the service counter. 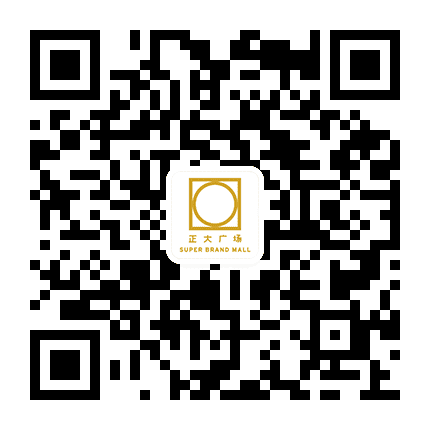 Enjoy free gift packing service for spending over RMB 500. Exclusive invitation for special events, exhibitions, limited edition sale and etc. Super Brand Mall membership can only be used in Super Brand Mall. Super Brand Mall membership is for personal use only, and each indivisual can apply once. When returning the goods, please bring the corresponding voucher to return the corresponding points before returning. Super Brand Mall membership points are valid for one year, and the points will be cleared at the end of each year. Points for different menbership cannot be used crossed or combined. In case of improper use or illegal points, our company will have the right to terminate its accumulated points and cancel the membership.